Preventative and health oriented services include dental and periodontal cleanings, application of preventive medications and barriers to decay, home care education and training, diet counselling and identification of special devices to promote health. Reports and studies have shown definitive links between dental diseases and certain medical conditions including heart disease. Since over 80% of all oral and dental diseases are preventable, we work with our clients to teach and support them in improving and sustaining their dental health. We take pride in educating our clients about the importance of maintaining good health through preventive dentistry. We will thoroughly instruct you in the most effective ways of keeping your teeth, gums, and mouth healthy. How Can Preventative Dentistry Benefit You? Are wondering how preventative dentistry can benefit you? Prolonging times between dental visits can make small problems turn to BIG ones that are more difficult to fix. Regular checkups and cleanings help prevent the problems before they start or spot them while they are still small. Reducing the amounts of sugar, starch and carbonated beverages you consume also goes a long way in preventing and reducing dental problems. Preventive dentistry is just that – dentistry designed to prevent big problems. We examine your teeth for decay, cracks and damage that may show dangerous or destructive conditions. The face, head, neck and mouth are examined for any signs or symptoms of disease. Jaws, gums and parts of the mouth that support the teeth are examined for health and proper function. The relationships of the jaws and teeth are examined, tested and evaluated for those with problems associated with poor or destructive bites (headaches, sensitivity to temperature, pain while chewing, broken teeth, etc). We carefully analyze the appearance of your teeth and explore ways to improve and enhance smiles. Studies have linked periodontal disease and cardiac disease. Periodontal disease may actually trigger cardiac disease. When you practice preventative dentistry, you may be preventing cardiac disease. Maintaining a healthy diet coupled with good dental hygiene are important aspects of preventive dentistry. In addition, it is imperative for patients to undergo a complete dental exam because this can help catch potential dental problems. Even though you may not be experiencing painful dental problems at the moment, and you haven't gotten your teeth cleaned in a while, this may be the perfect time to schedule a dental appointment. 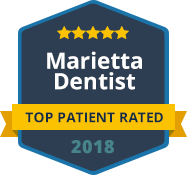 For further information about any of our dental services, please contact Dr. Kurtzman’s dental office or call Dr. Kurtzman today to schedule your appointment (770) 980-6336. Our ultimate goal is to make all our clients feel as comfortable as possible. Our friendly and knowledgeable staff will schedule an appointment to discuss your individual dental needs. When you have a dental emergency and you want pain free dentistry, Dr. Kurtzman is the right choice!